Including livery yards at the Home Farm in Dalkeith Park, the Edinburgh Equestrian Centre offers something for every rider. 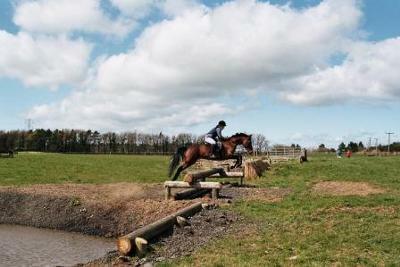 With a wide choice of facilities and good hacking and grazing to suit every pocket. Cross Country Course … With a wide range of fixed and portable cross country fences ranging from 1’0″ to 3′ 3″ in height, our cross country course truly has it all. The fences have been constructed to a high standard and aim to give you and your horse a challenging and enjoyable experience. Grazing and Livery … A well thought out grass management program is in place at the centre to offer safe, controlled grazing with horses split into very small groups to suit specific requirements. With home-grown hay, haylage and straw your livery will be of excellent quality all year round. Hacking and Riding Out … With hundreds of acres of outstanding views, this park will take your breath away and you will truly enjoy both the scenery and the wildlife which surrounds you. Alternatively, you can use the well managed park tracks as a real aid to improving your horse’s exercise program. There are also several reclaimed railway lines close at hand for those who wish to venture further afield. Above all the generic voltaren tablets place you choose to study should not..